35 ac ranch with fantastic views. 36x24 2-car garage with large shop & loft w/ two separate rooms (perfect ranch office), 30x16 steel quonset shop w/wood stove, 72x30 steel barn w/ 2 large doors, multiple storage sheds & loafing sheds, seasonal pond, fenced and cross fenced, 100x200 outdoor arena (posts set, but no rails), garden areas and more. 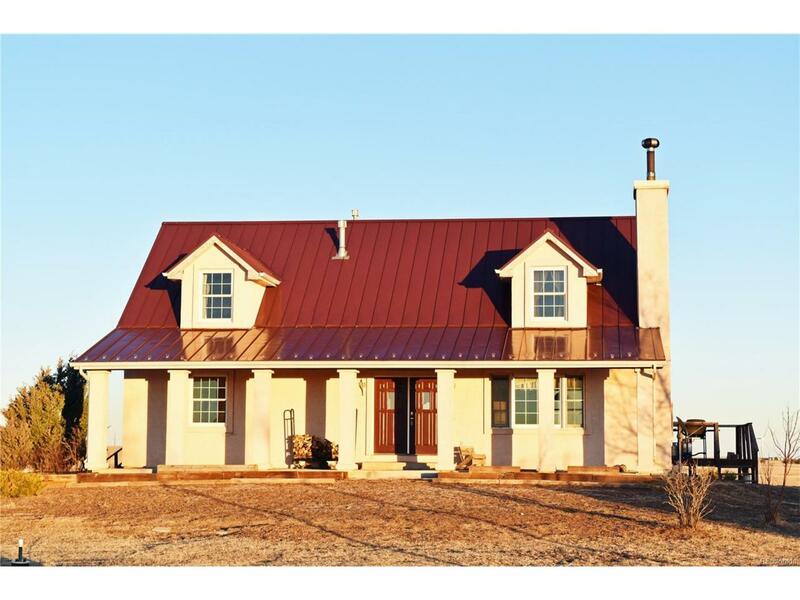 Home has 4BR, 2BT up, main level has 1/2 BT, master bedroom, laundry, kitchen, living room and dining area, and walkout basement w/2BR, 1BT, rec room, kitchenette & sun porch.Outbuildings: 8 x 12 storage shed with 7 x 9 shed attached; 16 x 30 steel Quonset hut with concrete floor and overhead door; Detached Garage: 24 x 36, two car with 12 x 24 shop space and loft with 11 x 14 and 19 x 14 rooms; Steel pole barn with dirt floor 29 x 72'6"; 8 x 8 loafing shed; 9 x 24 poultry house; 15 x 24 three stall loafing shed with pipe corral and doghouse; chain link dog runs; fenced garden area; 10 x 16 loafing shed. Barn would work for RV storage. Offered by Rawhide Company Realtors The.